From 1 to 9 days (Lecture + Labs): depends on the modules you enrol. Our trainer is the world well-known name in the Microsoft BI field. Reza Rad is Microsoft Regional Director, a speaker in world’s best and biggest Microsoft Data Platform, BI and Power BI conferences such as Microsoft Ignite, Microsoft Business Applications Summit, Microsoft Data Insight Summit, PASS Summits, PASS Rallys, SQLBits, TechEds, and so on. He is the author of books on this topic, and he has more than 15 years’ experience in the Microsoft BI technologies. 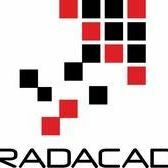 Reza is the founder of RADACAD and a consultant for more than decades. He is also a Microsoft Certified Trainer for years. He is Microsoft Data Platform MVP (Most Valuable Professional) focused on BI and Data Analysis; Microsoft has awarded him MVP because of his dedication and expertise in Microsoft BI technologies from 2011 till now (more than eight years). He is the author of Power BI book from Rookie to Rock Star. This training is designed for data architect or administrator, who is designing the architecture of leveraging Power BI in a solution. Someone who wants to understand how all components of Power BI are sitting beside each other to build the whole solution. This training is designed for understanding the strategy of using Power BI rather than the development of it. In this training, you will learn about architecting the strategy of a Power BI solution from end to end. This is not training about development (Modules 1 to 3 already covered that). You do not need to attend previous modules to attend this course. This course is designed separately from those. However, knowing some of the basics of Power BI is helpful. You will learn about Power BI Service, and different types of connections in Power BI and choose the right type of connection for your solution. You will also learn all different ways of sharing a Power BI Solution and the pros and cons of each. The course continues with a detailed discussion about row-level security. You will learn how gateway configuration and set up will be in the whole package. You will also learn about integrating Power BI with other tools, and some architecture blueprints to follow when you are designing a Power BI solution. At the end of this training, you will be able to design the architecture of Power BI for your requirement; you can choose the right way of sharing and design the gateway configuration as well as the communication of Power BI with other tools and services. You will be able to answer any questions that come to your mind about a solution architecture in Power BI world and make the right decision to choose the right strategy of Power BI usage in your organization. Power BI service or website plays an important role in designing a Power BI solution. Power BI website is the hosting environment for Power BI reports, dashboards and datasets. In this section, you will learn about these objects and their configuration. You will also learn about the different types of connections in Power BI, and the position of the gateway in the solution, configuring and installing it. There are several ways of sharing Power BI reports and dashboards. Each of the methods has pros and cons and should be used in specific scenarios. In this section, you will learn scenarios to use each of these methods for sharing, and the sharing of architecture, and a comparison between all these methods at the end. Sharing is about giving users access to the entire content; security is about giving them access to part of it. There are different ways of implementing security (which is called row-level security in Power BI). Statics row-level security is a good option when roles are limited items. The next level is to define a dynamic row-level security using DAX functions. Dynamic row-level security comes as different patterns which will be discussed here through examples. As a Power BI administrator, you need to have a careful eye on some of the metrics, and control some of the settings across your organization Power BI tenant. In this section, you will learn about Power BI administrator configuration options and options which are critical to controlling. You will also learn about all licensing options for Power BI and will have a clear view of what would be the best licensing option for you. Power BI can integrate with other tools and services such as Reporting Services and Excel. In this section, you will learn about all integration options for Power BI. This section will also give you a full understanding of Power BI Report Server; the on-premises usage of Power BI. You will learn Power BI REST API capabilities (not at a developer level, more in architecture level), and you will learn about real-time streaming options available with Power BI. The last part of the training focuses on architecture blueprints for Power BI. In addition to architecture best practices for sharing, self-service, enterprise-level architecture, you will learn about a tool that can help in Power BI solution designed by RADACAD; Power BI Helper. Power BI is the newest Microsoft BI tool for data mash up, build modeling, and visualize it effectively. It supports mobile devices, it supports self-service, and along with its great functionalities, it doesn’t require heavy development or production system. There are some myths about Power BI that sometimes prevents people and organization to move towards using this product. We’ve listed some of the myths in following. Please note that these are Myths, and they are not the right assumptions. Myth 1: Power BI is a self-service Excel tool, and isn’t suitable for Enterprise Solutions. There are many scenarios that Power BI has been used in enterprise solutions. Power BI features for data mash up (with the very powerful data transformation component: Power Query), and data modelling based on xVelocity in-memory engine (Power Pivot), and great data visualization components such as Power View and Power Map, along with mobility support of this product, are rarely available in other products. We have designed, implemented and have seemed many BI enterprise solutions based on Power BI within very large organizations. Myth 2: Power BI is easy to use, and doesn’t require a training course. Power BI is an easy to use tool, but for basic functions. Every BI application requires calculated measure, which needs to be written in DAX. Every BI application requires advanced data transformations which need to be handled with Power Query M scripting language. Designing and implementing solutions with Best Practices is always a requirement for reliable BI applications. We designed our Power BI training in a way that delivers advanced content for all components of Power BI, and fortify your team’s knowledge on the product, so they can solve any complex challenge with this tool. Myth 3: Power BI is only for Microsoft based environments and platforms. Power Query is the core of data extraction in Power BI. Power Query supports a wide range of data sources. Not only SQL Server, but also Oracle, MySQL, web service result set, DB2 and many other data source are supported. There is also the possibility to connect to many systems such as Salesforce. The Visualization component of Power BI is also HTML5 supported and is available for all mobile devices. Power BI app in AppStore, and Google PlayStore, as well as Microsoft AppStore, enables dashboards and data visualizations to be available in all environments. Myth 4: Power BI is not a powerful and fully functional BI tool, and cannot be compared with other tools in the market. In fact, the reverse is true. Power BI is such powerful that can be the replacement of many other expensive BI tools in the market. We’ve been through scenarios of successful Power BI solutions that have been a replacement of Cognos, IBM products, Oracle WB, SAP BO, and so on. Power BI has 5 powerful components that cover main aspects of BI and data analysis system. In addition, there is always the possibility to use this as a hybrid approach and save lots of time and money along with great features that are only available in this product. I spent probably about two weeks looking for a good Microsoft Power BI class that would cover all of the aspects of the program. I wanted to walk away from the class being able to apply what I learned immediately. Most training companies that I looked into were in a state of flux with Power BI mostly due to the transitions that Power BI itself was going through. Then I stumbled on the RADACAD web site. 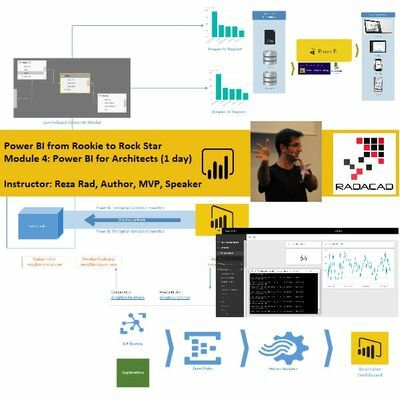 Reza Rad touted a course that he taught named “Power BI, From Rookie to Rock star.” If the class was indeed an A to Z course, then it was exactly what I was looking for. The class outline seemed to include every topic on my checkoff list plus much more. I decided to give Reza a try.Reza completely lived up to his hype. He took us through a natural progression of the software, using example after example of how to complete a task. We went through real world scenarios, a bare minimum of two scenarios for each minor topic. I was completely impressed with his Power BI knowledge, understanding and abilities. Any question we came to Reza with was answered completely and with even more examples.After the class, my goal of immediately applying what I learned was attained. Right away I was able to successfully pull and massage data, create useful reports and post them to dashboards.I would recommend Radacad Power BI Training without hesitation. I learned a lot from this course: it gave a great overview of what’s possible both right from the UI, and what more awaits if you lift the hood and pimp the engine. It’s incredible to see just how much PowerBI and PowerQuery radically simplify what I would otherwise have to do with many, many lines of complicated VBA code. And Reza is a masterful user of this tool. Note that Reza covers a lot of ground in this course, and it is pretty fast paced. While you can take a laptop and follow along as Reza takes PowerBI/Powerquery through its paces, for the one-day course my recommendation would be to keep that laptop closed, and simply sit back and watch Reza in action, so you can fully concentrate on just how simple this tool is to use in the right hands as well as think about how you might use the tool to your own ends and ask questions along those lines. You can always purchase the video course (if it’s not already included in your course) and step through the material again at your own pace. I must say your “Power BI Essentials” course has been the most comprehensive Power BI course I have found to date and seeing how you work with data especially the little tricks naturally introduced at just the right moments has made this course a pleasure to take. I attended Reza’s Power BI pre-con “From Rookie to Rock star” at SQL Saturday Brisbane in May 2016. I was a complete Power BI novice, having only previously accomplished a few very basic things with Power BI. Reza took the group through all the components that make up environment. He explained how they had evolved and took the group through walk-throughs of each one. Reza was great an answering questions from the audience at the event and going into extra detail if necessary. All-in all, I would say that I’m now a very confident Power BI user after attending Reza’s pre-con. Reza does not just know Power BI like the back of his hand, he is the most commercially aware BI person I know. He understands that companies work in the real world and that data isn’t always clean and needs manipulation for it to work and be useful. When Reza worked on our project, nothing phased or flustered him, he always came up with solutions for problems that seemed to me as insurmountable. Can’t recommend him enough, invest in Reza as he will not only save you a whole heap of time, but he comes up with long lasting and very powerful Power BI solutions for your business. We have started to use Microsoft Power BI and whilst Microsoft tutorials are helpful, if you are not used to DAX then it is very difficult to get your head around and there is little other resources that don’t cost an arm and a leg. I had a call with Reza who made my life so much easier in just under an hour! Any time spent speaking to Reza will be well worth it – I have saved hours of trying to get my head around our dashboards by getting some very useful tips and explanations on why things are done the DAX way! Not only that but he is very patient and straight forward. Highly recommended! The course was an excellent investment overall, it exceed my expectations. It was well paced and presented. The instructor, Reza Rad, was excellent and was able to answer all my questions and explain complex idea in a manner that was easy to understand and follow. I had been using Power BI Desktop for a number of months prior to taking this course, but wish I had attended it sooner! The course structure of 1 day of overall Power BI and followed by 4 days of more intensive instruction on the various parts of Power BI allowed for a basic understanding of the whole, and then more comprehensive learning. The live-on-line experience worked well technically and allowed for questions and problem-solving with the instructor. I learned a lot about Power BI and this course gave me a great foundation for using Power BI to clean, model, design, and share reports using a variety of visualizations that will provide business intelligence to my company. I would recommend this course to anyone wanting to learn Power BI either as a starting point or even after you have used the tool to deepen your understanding and build your skill-set.